Jordan Air Jordan 4 GS "Valentine's Day"
Air Jordan 4 GS "Valentine's Day"
A Valentine's Day-appropriate colorway, the Air Jordan 4 sports a true berry colorway with pink polka-dot accents throughout. White contrasts the shoe, which is seen on the Jumpman branding on the tongue, laces, midsole, and outsole. Additional details include a heart basketball logo at the heel. Release date is Feb. 9, 2019. 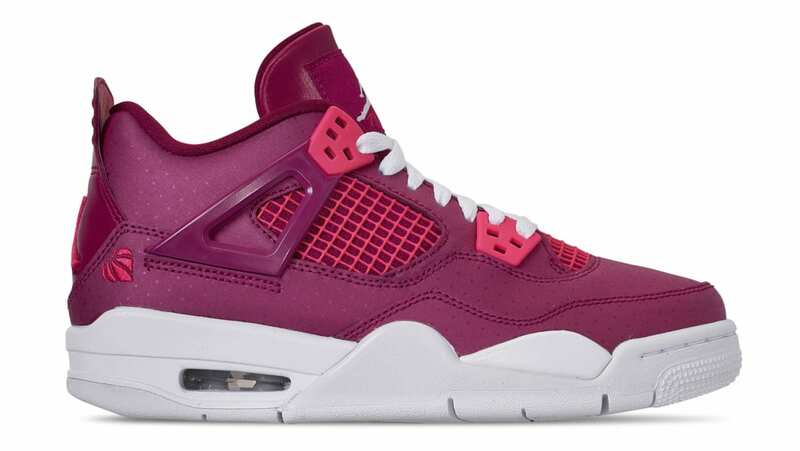 News Air Jordan 4 GS "Valentine's Day"